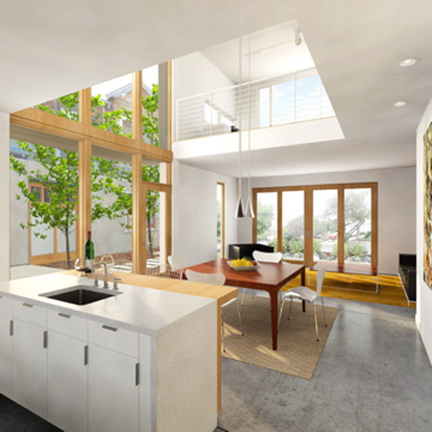 This two-unit sustainably minded rowhouse development is located in the vibrant Southwest Clinton Street neighborhood. Designed to compliment the existing house to the south, the wood cladding and sloping façade frame echo the formal language of the surrounding context. Each unit incorporates three efficient yet spacious floors of living. 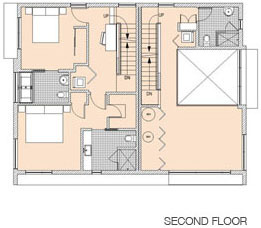 The north unit includes a roof deck and accessory dwelling unit. Both units incorporate upper floors with views to downtown and the Tualatin Mountains.